Discussion in 'Unit Reviews' started by Memel0rd, Feb 11, 2018. The young daughter of a famous swordsman from a certain village. Yan is a kind young lady who despite the graceful way in which she carries herself, will not hesitate to propose to her lover that they elope together. Although originally a sickly girl during her youth, she began venturing outside on her own as soon as her physical state improved. Nowadays many people often see her walking around with her favorite parasol in hand. The last of the chinese new year's batch, so far the banner has been amazing. Will she be able to keep it that way? Jumping right into it: Yan for a 4* has amazing base stats. High HP, high MP, decent DEF and high SPR. Topping that off, she gets a total of 20% HP/MP, 70% SPR (with a light shield), 5% MP refresh and 30% camouflage. These stat passives perfectly fit to her as a unit since she is a support healer type of unit. I am pretty surprised at her high stats. Really not too shabby. But she still has that all 20% elemental resistance. For a 4*, these stats are very solid. Just like her lover Ang, she has a couple of passives that include him. Three to be precised, as long as Ang and Yan are alive and together, Yan will get Auto-Shell, 10% Auto Mitigation and 2 Auto LB. The latter being the most important one as the other two are likely to get overwritten by other buffs. Why the 2 auto LB is really nice on her is something you'll see later on when I'm talking about her Limit Burst. Havin all the traits and stats covered, it's time to move on to her abilities. I'll cover the ones without "Chi-" in their name firstly. Yan has access to an AoE 30% 3 turn damage mitigation buff. Eternal Blossoms is basically the same version of the abilities 9S and Crowe have and this ability alone is a great tool for 4* units. It can be used in 10 man trials where you just swap Yan in to use that or to help your team survival various attacks. Great ability. Jade Resilience is an ability I'd love to see on many many units. It's an AoE 3 turn break resistance buff and yes. Always yes, it's a blessing to have it. I love running Tilith simply because she has that same buff. It helps against all trials that break your stats, especially Wicked Moon, it helps people that use Emperor so they don't break their own SPR. It's just an amazing move to have combined with Eternal Blossoms and adds to the versatility in many ways. Thumbs up once again. Regarding her versatility, Yan gets even more interesting. Since she is designed to function together with Ang, she has Invoke Fire / Wind, respectively breaking ST DEF by 50% and imperiling 50% Fire or Wind. It's just great to have all these three different types of abilities combined into one unit. Often enough people lack external imperils for e.g. chainers like Onion Knight or A2. Sometimes even are unable to fit units with external imperils into their party, while the most common choice is Ace. Yan however can be their imperil unit while having all these different abilities. The same goes for Flaming Ashes. Something for instance Tilith and Rikku have, an AoE 100% HP raise. This is just amazing in every situation you are facing and are lacking a good raiser or don't have the time to do so. Three abilities to go, but something we have to point out first: Yan can dualcast all of these FOLLOWING abilities. Since they have "Chi-" in their name of course. First, we have an AoE 2000 HP heal. Fair enough, Chi - Kindness Rain can be pretty good since it can recover a fixed amount of 4k HP. While it's not an amazing heal, sometimes I have many occasions where I don't actually need a massive healer. And since she has amazing support abilities, maybe you'd use her sometimes instead of a healer. Second being Chi - Golden Pearl Tenacity. An AoE 100% LB Fillrate for three turns. Very handy for herself as you will see in juuuust a second and very helpful for others. If you run units like Ang and Chow for instance, both of them highly appreciate quicker LBs and Yan does, too. This can be very useful if you only need 1~2k HP on your team but want to make it more worthwhile, which might put it above Eccentrick in certain situations simply because you can do healing or MP recovering in the same turn. Wait, what? MP recovering? Ok, it's not that much I have to say. Yan can recover AoE 20 MP except herself with Chi - Gentle Winds. Of course it can go up to 40 MP once you dualcast it, I don't see Yan as straight MP battery but especially for story events or something similar helpful. Or if you just have a shorter fight and don't feel like bringing a dedicated MP battery. More versatility as usual. For her last "ability" I want to talk about is Yan's Limit Burst. It costs 20 LB Crysts but applies an AoE 80% Reraise, pretty much Rikku's Limit Burst, but instead of an AoE 50%~74% DEF/SPR buff, it grants an AoE 40%~64% ALL ELEMENTAL resistance buff. This limit burst, if you can spam it like Rikku's, is just a lot lot better. Great Limit Burst in all means, also pssht, but with that you can cheese your way through some fights if you can't handle them naturally. Frankly I'm not really sure what to talk about here. Yan feels like a jack of all trades, which might make it hard to use her. Since she has all of these different buffs but not being a really strong unit in that category, she might be outclassed. For instance, as a healer + status break resistance buffer, Tilith will be the better option. Or as an imperil unit that's acting as a MP battery, Ace will be better. Of course you can do many many MANY different things with Yan, but I feel like many players will prefer a different unit over her in many cases. Something that's more important than the previous thing I've mentioned is that Yan can't equip any weapons. This simply means less potential survivability or for instance LB fillrate. Rikku can innately equip knuckles, giving her a higher LB fillrate with Overdrive / Aigaion Arm. Generally Yan's equipment selection is pretty limited, but it shouldn't hurt her much. If you have any cons revolving Yan, please let me know. I mean, yes, her heals and MP recover moves are not the best, but that's not what she's supposed to be. Yan is not a MP battery nor a main healer, but more of a support healer as I said earlier. Yan might be a little too slow for some players to be truly worth it simply because she can't DC every ability she has or rather only three of them. But if she could DC the mitigation and break resistance buff too.... damn. For players with strong tanks or generally good setup that doesn't require a whole lot of heals, running a bard paired up with Yan might be a good idea. Bards already provide a good amount of side healing and recently I've ran into many fights where I didn't really need the healer that much. This is where Yan can shine because she has so much to play with and still provides 2-4k fixed heals if needed. Besides that, I've already covered everything she can do and for the future I don't know many 4* units that are on the same level as hers. Great defensive stats, LB fillrate and Auto LB. Everything she can use very well and I'm sure you'll be able to get something good out of it. Besides that, if you don't want to use her LB, you should just focus on status ailment resistance and/or survivability. Yan is only good in the arena if you feel like using reraise a lot and be THAT GUY once again. I'm looking at you --. But for real, Yan doesn't do much here outside of healing, auto reraise and maybe aoe raise. She has no natural status ailment protection, she doesn't inflict status ailments, no stop, no damage. I'd not recommend her in the arena. This is a great light shield, no doubts. Especially on Yan herself as it's granting her a massive 30% MP boost when equipped with her. Combined with really high SPR and status ailment protection, this might be a slot saver for a Ribbon and help you out at fights like Malboro / Echidna. We are going to get a insane light shield from the next scheduled trial, so maybe you want to pass, but generally this is a really strong light shield. I must say, Yan is probably the best 4* unit we have gotten in a long time. Yan has many surprisingly strong aspects about her. Mainly her sheer versatility is astonoshing, she has so many different tools that every team can utilise. Damage mitigation, reraise + ele resistance, break resistance, side healing, imperils, aoe raise. It's just beautiful to see her being a valuable unit. Not even Yan's stats pull her off the stage, her survivability is pretty decent. With her maxed LB she can already reach 84% all element resistance. Previous limited gear also is great on her, for instance Kryla's , Pirate Jake's or even Illusionist Nichol's TMRs. Yan is a great unit and I think most of you should go and get her. You never know when such a versatile unit might come in handy. Yan is definitely quite an eye sight, don't you think? 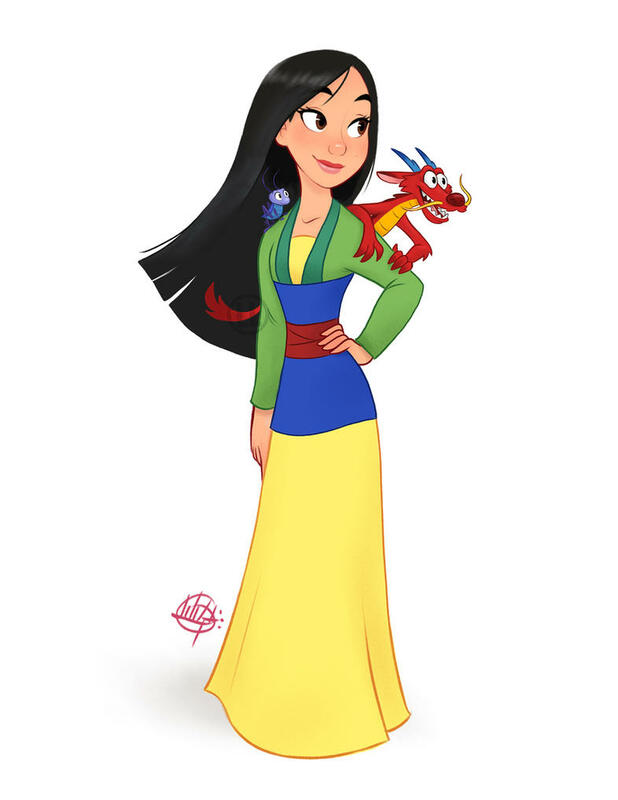 For real, I should probably re-watch Mulan, it's a great movie. I'm sure I'll use Yan more in the future, let me know which experiences you've already made with her . LMoS, Redtide, Macska and 60 others like this. Redtide, Fraggs and Memel0rd like this. In the meantime, looking forward to lunera's enhancements review!!! Furuichi and Memel0rd like this. I've been running Yan with e. Lunera and the healing is pretty impressive split between them. Throwing in a tank with Mechanical Heart and it should be possible to run without a dedicated healer. The fixed heal definitely shouldn't be underestimated. Hillgigas209 and ejx220 like this. Donpru, KMad, sadaharu and 3 others like this. I pulled her on a ticket earlier today so I'm trying her out a bit right now. She's quite cool. I'm a huge Rikku fan and I've used her a lot (I love how helpful her elemental chains can be at times), but I think I might try Yan for a little while. I might switch out Tilith for another damage dealer or something and play around a bit. There seems to be a lot of Yan vs. Rikku threads atm and they get very wild. Truth be told, I'll probably keep using both of them from time to time. Yan might be better, but I love Rikku so whatever. ejx220 and Memel0rd like this. Nice review as always!! Im thinking that with eramza+chow+yan you can recover alot of HP if needed... and maibe can freesup a slot for Ang as a finisher... just thinking of viability..
Memel0rd and Cygnes like this. I don't think I'll use her before leveling her LB first and I'm currently working on OK's so... benched. Tell me the truth, aren't the support character reviews the smoothest to make? You just have to comment their abilities with no need of calculations while you drink your tea/coffee. For real, I should probably re-watch Mulan, it's a great movie. But should I finally watch it after, like, 15 years of not watching it? Got her and Ang, and seeing she's a better Rikku I'll be trying to work a team with her in it. Right? And is not like they fit a single role like, let's say, a provoke tank or a finisher, is their variety that makes them unique.